The SW-MOTECH skid plate extension for the BMW centerstand on the R1250GS and Adventure adds protection to the undercarriage where the engine skid plate ends to offer complete protection from the front tire to the rear tire. Lightweight yet strong 3mm thick aluminum plate securely mounts to existing tabs that are built into the stand. 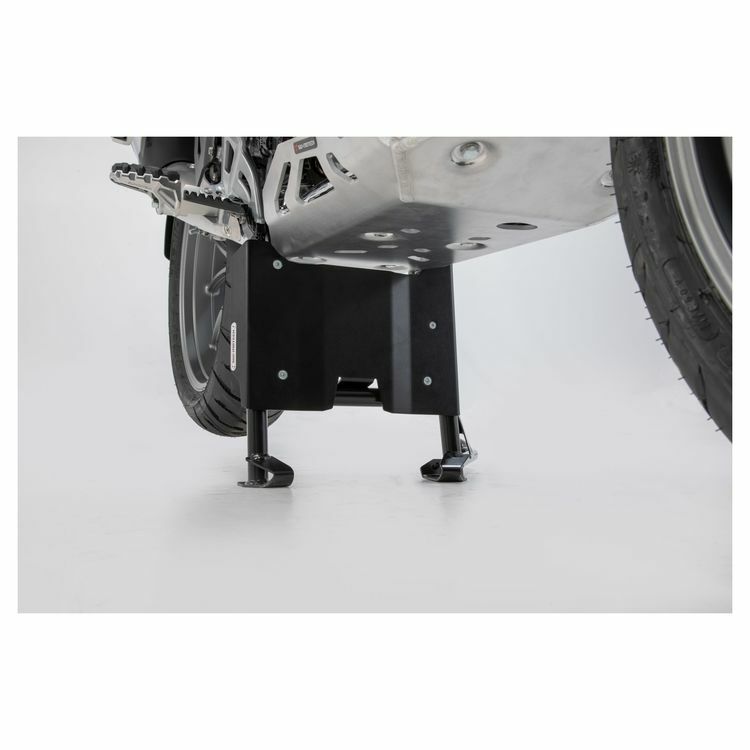 This protective skid plate extension and the SW-MOTECH centerstand are designed to function seamlessly together. Designed and engineered in Germany for superior form and function. Install the SW-MOTECH skid plate extension on your R1250GS and rest assured knowing you're completely protected down there.